I found that the message was slightly less heavy handed with a rewatch, but I actually watched it this weekend and liked it all over again. It made me think that there aren’t enough sweet, fun movies with girls in giant, gorgeous dresses. Brave girls and kind girls and not silly, cheesy girls. It’s entirely possible I also need to own the Kiera Knightley version of Pride & Prejudice. I always approve of buying the 05 P&P! 🙂 I didn’t mind the message being repeated until the very end when Ella and Kip are saying it to each other and it felt a little strange. But other than that, so lovely! 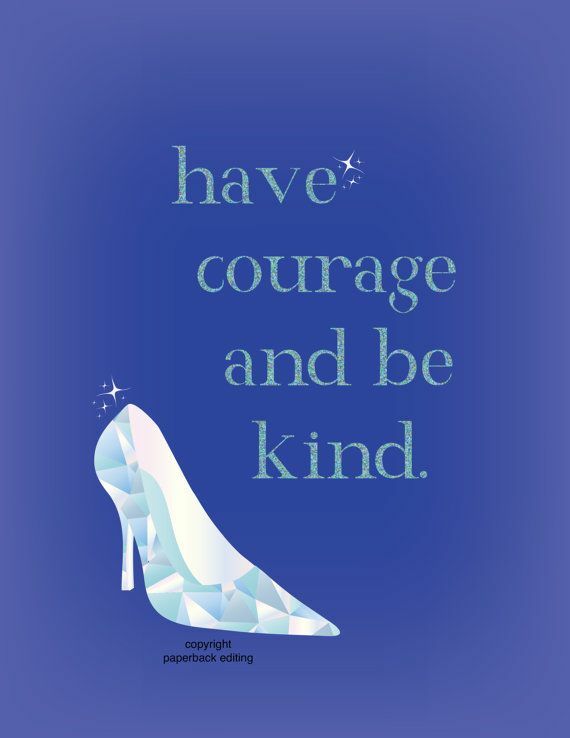 And I agree, we need more kind, brave girls who rock the ballgowns! This was such a lovely film – I was surprised too by how much I enjoyed this straightforward adaptation. I’m glad they didn’t change up the story or go darker or something, but just told it with a lot of heart. LOL @ Annie’s comment about the giant gorgeous dress – it is nice to see a beautiful ball scene! I agree, I liked that it was straightforward as well! I like pretty much anything Disney, so I don’t think I WOULDN’T like this. I remember when the trailer first came out, I thought it was going to be super cheesy. Well I haven’t watched it yet, but I think I would enjoy it in the end! If you like anything Disney, you’ll like this! It’s a pretty straightforward adaptation and I didn’t find it cheesy.